Quick reminder: All merchandise on my store is currently discounted for the next few hours (from this posting). Even after the sale period is over, my designs will still be available for purchase on a variety of merch, including t-shirts and mugs. I’ll be adding new designs on a fairly regular basis, so if you like my art, stay tuned for more cuteness! 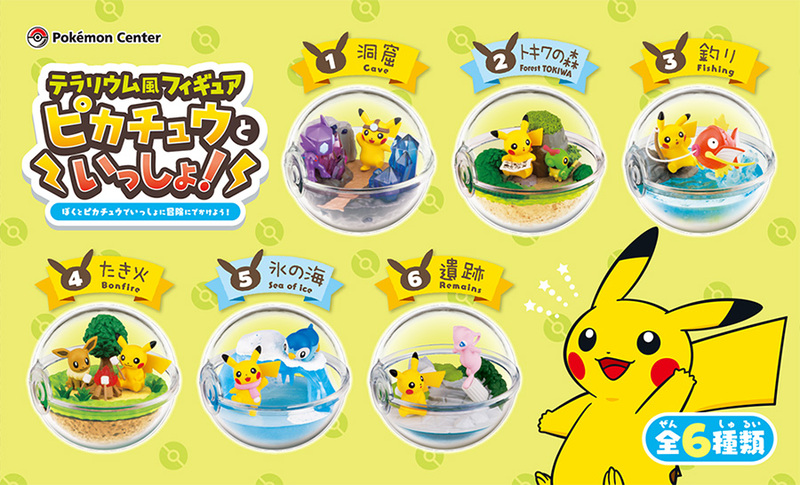 The popular Terrarium blind packaged figures is coming out with a Pokemon Center exclusive set, featuring Pikachu! Called “With Pikachu” (Pikachu to Issho) these blind packaged figures will go on sale at all Pokemon Centers & Stores around Japan starting August 10th (Saturday). The set has 6 terrarium figures in total and each figure will cost 864 yen including tax. Pokemon Time is returning for another year in a row with the 11th volume of the popular series, with a release scheduled for August 25th (Saturday). There will be the usual blind packaged candy tins, with 8 tin designs + 1 secret. 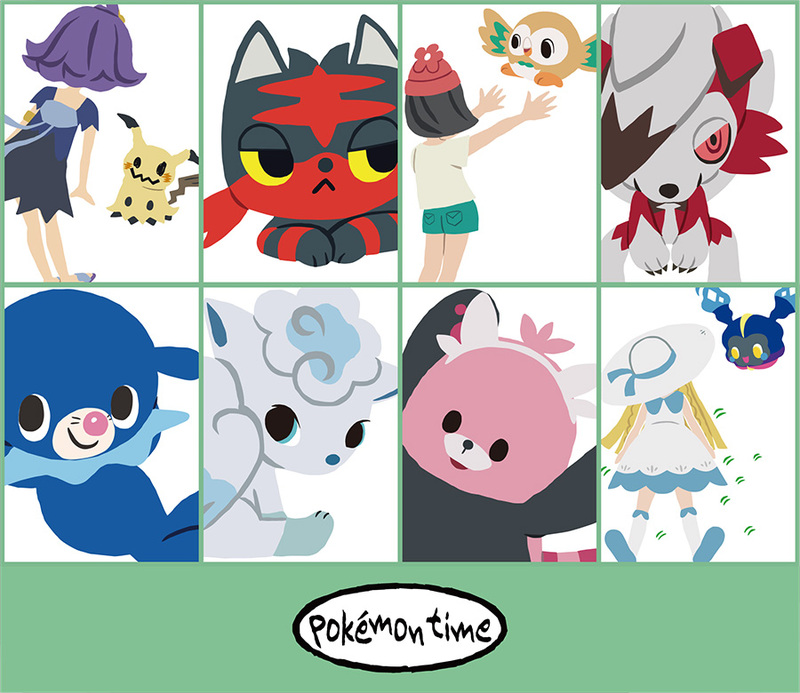 There will be socks featuring all 8 Pokemon, similar to the last Pokemon Time release. The plush especially should be fairly nice quality simply based on the price, but I guess we’ll see for sure when photos surface. 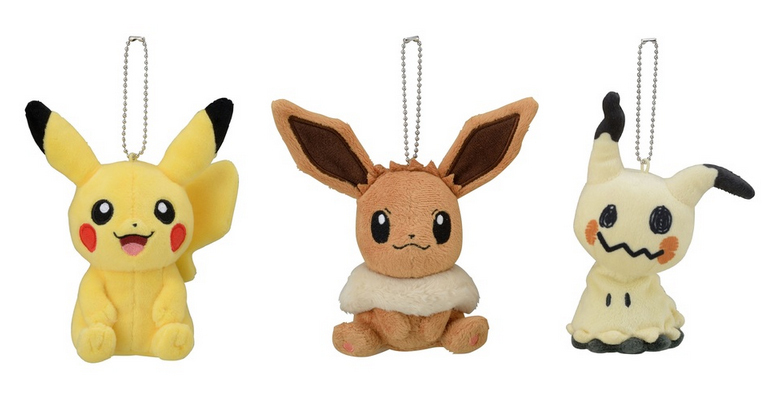 Last but not least, these three mascot plush (Pikachu, Eevee, and Mimikyu) were added to the Pokemon Center on-line store on Friday, with a release date set for Saturday the 28th (tomorrow Japan time). These plush come with a small strap you can use to attach them to things, like your shoulder. Each plush costs 1,800 yen after tax.